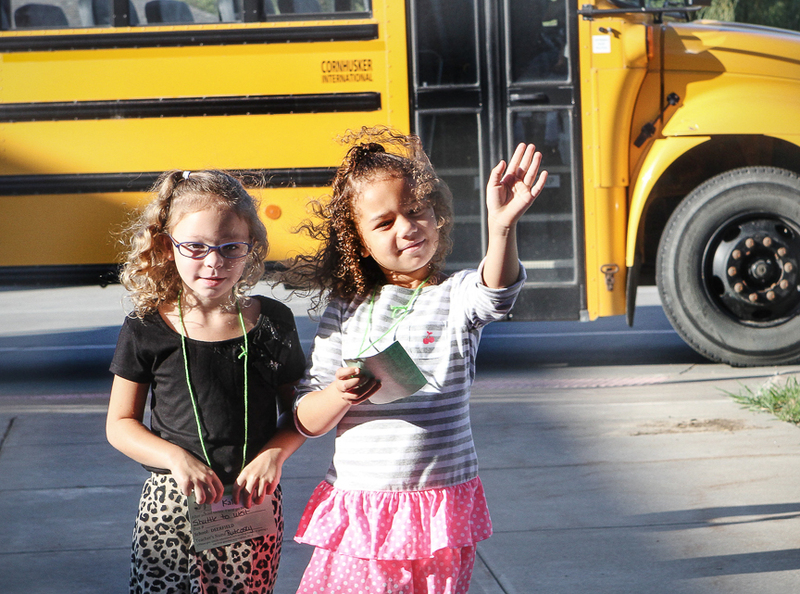 Kindergarten students Kalli Jordan, left, and Mariah Moore wave after getting off the bus Monday at Deerfield Primary School. Students from West Primary School are being shuttled from West to Deerfield or North while repairs are completed at West due to the damage from the June 3 hailstorm. Thirty-five students rode the shuttle Monday morning. Blair students picked up their back packs and headed back to school on Monday, August 11. Due to the June hail storm, West Primary School classes have been temporarily moved to other schools. A school bus bus shuttled 35 students from West to Deerfield and North schools Monday morning, and many parents chose to drop off their children at the schools. 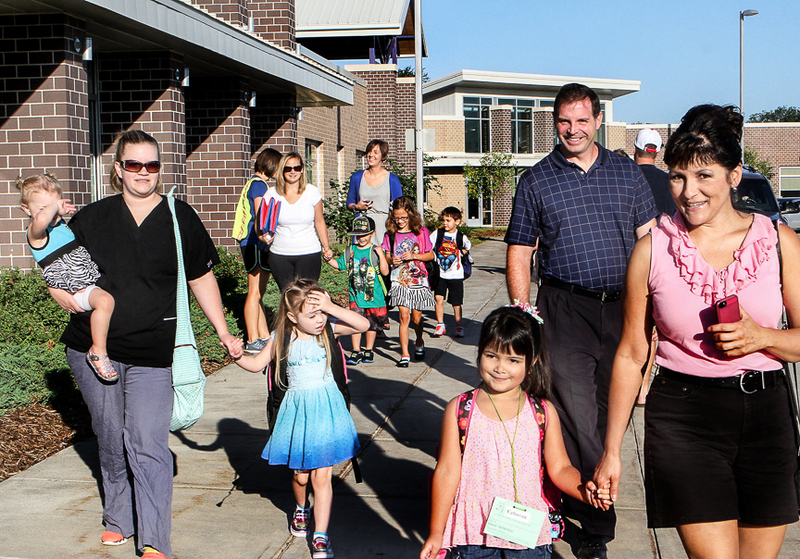 Steve and Kim Casto accompany kindergartener Katie to Deerfield on Monday. Katie would have liked to have taken the shuttle, but Steve will be taking Katie to school. Katie is excited to attend Deerfield because some of her friends attend Deerfield. 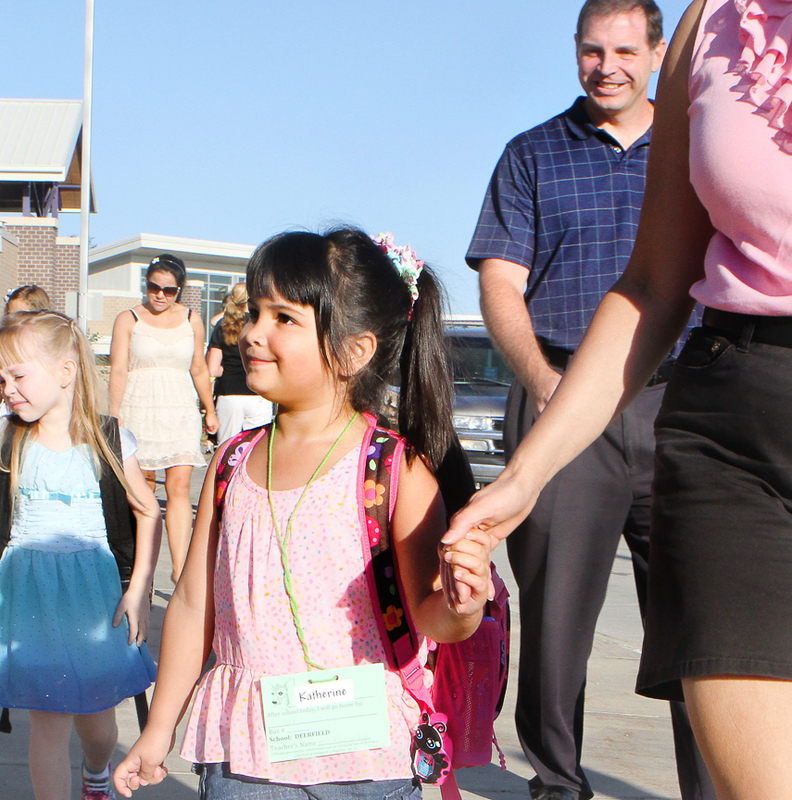 kindergartener Katie Casto looks forward to her first day of school at Deerfield. 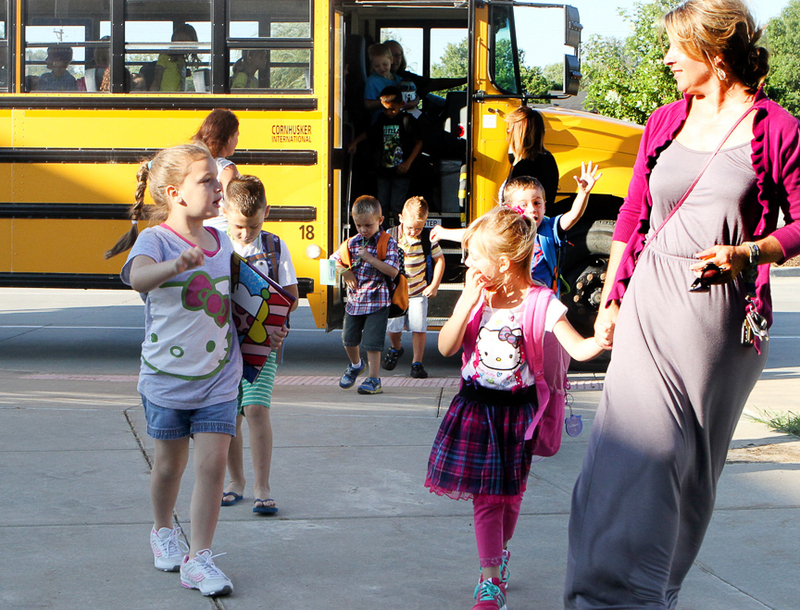 West Kindergarten teacher Peggy Rutcosky accompanied students riding the shuttle bus to Deerfield on Monday, the first day of school. West classes have been temporarily moved to Deerfield and North schools while repairs due to the hail storm are completed. 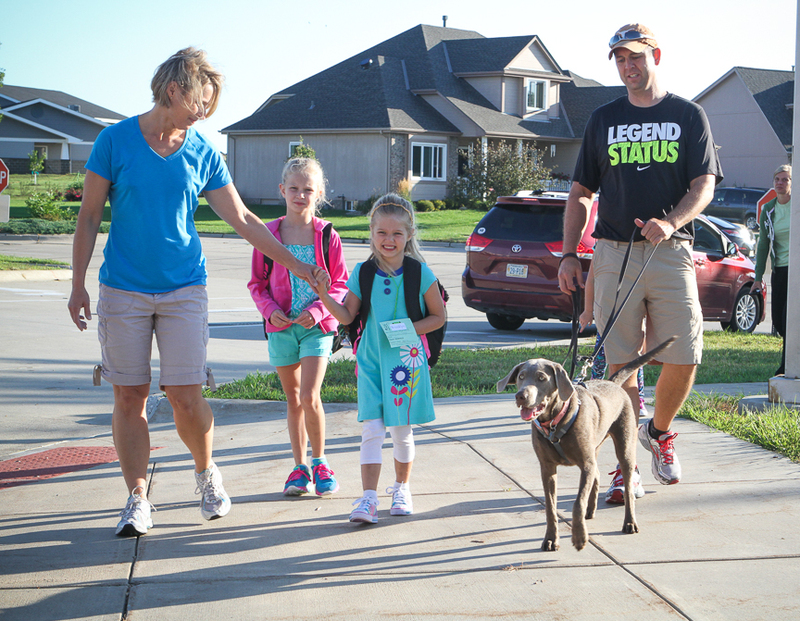 Brenda and Ryan Schroeter and dog Mae accompany Brooklyn and Ryleigh Schroeter to school at Deerfield on Monday morning. 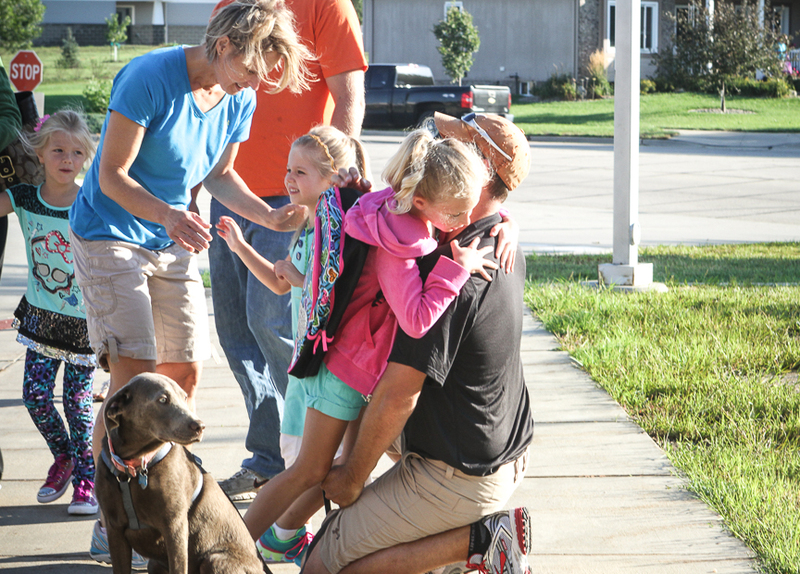 Daughters Brooklyn and Ryleigh share hugs with mom and dad as they arrive at Deerfield on the first day of school. 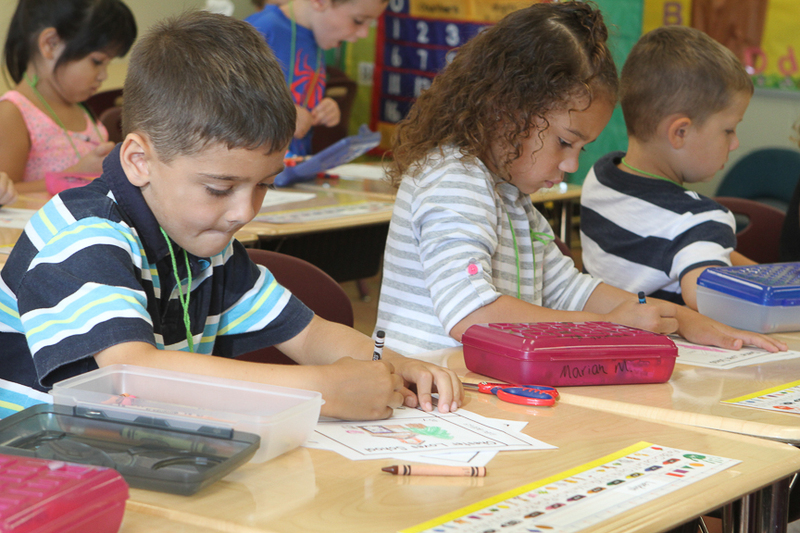 Landyn Unweiler and Mariah Moore work on a coloring project while kindergarten teacher Peggy Rutcosky takes lunch orders. 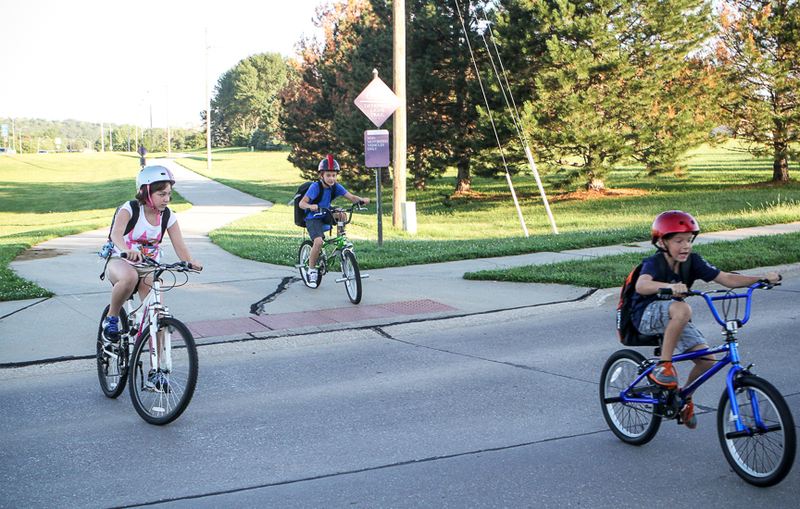 Students make their way along the Deerfield trail to Arbor Park on the first day of school.